We wish to introduce ourselves as manufacturers / importers /agents of raw materials required by Steel Plants and Foundries and having a group turnover of approximately Rupees 500 Crores. We are marketing Pig Iron and Sponge Iron of M/s Jayaswals NECO Industries Ltd, M/s Kirloskar Ferrous Industries Ltd.,M/s Sunflag Iron & Steels Ltd. who are major producers of Pig Iron in India. We have manufacturing unit in Chandrapur for Minerals Pulverising, Coal Dust, Lustrous Carbon Powder, Inoculants, Graphite and Nodulizers required by foundries and powdered metals and alloys for the Welding Electrode and Hard Facing industries, Coke Oven Plant in Raipur for manufacturing of Low Ash Metallurgical Coke of capacity 0.12 MTA, Cement Plants in Maharashtra and Andhra Pradesh, manufacturing units of HDPE Bags and Medicinal Gases i.e. Nitrous Oxide and Medical Oxygen in Nagpur. We also have our mines for Lime Stone & Dolomite at Hiwardara near Wani, which is about 180 Kms. from Nagpur. We are regular supplier of industrial products like various type of control valves, gland packing, level indicator, temperature controllers, pumps, etc. 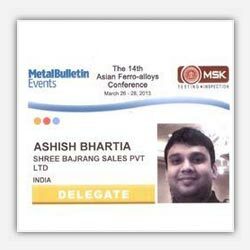 to various steel, power, sugar, chemical and paper industries in central India. 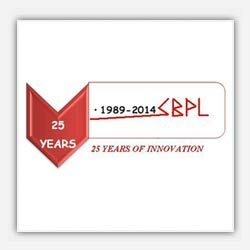 SBPL 25 Years Of Innovation. As soldiers and it is the trading community which has brought laurels to our great motherland over the globe by displaying their exceptionally well business skills. He was inaugurating inaugurating a two days national convention of the Confederation of All India Traders (CAIT). Senior BJP Leader Dr. Murli Manohar Joshi and BJP MP Smt. Smriti Irani were also present at the function. The inaugural function was presided by CAIT National President B. C. Bhartia. CAIT National Chairman Mahendra Shah and Chief Patron Ramesh Chandra Aggrawal, CAIT Ladies Wing National President Smt. Seema Sethi also attended the function. Modi said the entire mechanism of the Government needs to be revamped as it has been greatly rotten in last 65 years. He also called for a hassle free simplified taxation system for traders and opined that such a tax structure will promote voluntary compliance to a great extent, which will culminate into great generation of revenue for the government. He further termed the trading community as the spine of Indian economy and strongly advocated a congenial atmosphere of business for traders. Making a strong pitch for up-gradation and modernization of retail trade of india, he called for enhancing the capabilities of the traders in order to meet global challenges. CAIT National Secretary General Praveen Khandelwal while presenting a Traders National Charter to Modi and other leaders spelled out various burning issues of the trading community including Formulation of a National Trade Policy for Retail Trade and a separate Ministry of Internal Trade both at Centre & States. As soldiers and it is the trading community which has brought laurels to our great motherland over the globe by displaying their exceptionally well business skills. He was inaugurating inaugurating a two days national convention of the Confederation of All India Traders (CAIT). Senior BJP Leader Dr. Murli Manohar Joshi and BJP MP Smt. Smriti Irani were also present at the function. The inaugural function was presided by CAIT National President B. C. Bhartia. CAIT National Chairman Mahendra Shah and Chief Patron Ramesh Chandra Aggrawal, CAIT Ladies Wing National President Smt. Seema Sethi also attended the function. Modi said the entire mechanism of the Government needs to be revamped as it has been greatly rotten in last 65 years. He also called for a hassle free simplified taxation system for traders and opined that such a tax structure will promote voluntary compliance to a great extent, which will culminate into great generation of revenue for the government. He further termed the trading community as the spine of Indian economy and strongly advocated a congenial atmosphere of business for traders. Making a strong pitch for up-gradation and modernization of retail trade of india, he called for enhancing the capabilities of the traders in order to meet global challenges. CAIT National Secretary General Praveen Khandelwal while presenting a Traders National Charter to Modi and other leaders spelled out various burning issues of the trading community including Formulation of a National Trade Policy for Retail Trade and a separate Ministry of Internal Trade both at Centre & States. Recently we have participated in 14th Asian Ferro Alloys Conference 2013, held in Hong Kong. There we met delegates from many nations.